eBird is a real-time, online checklist program that the birding community reports and accesses information about birds. eBird provides rich data sources for basic information on bird abundance and distribution at a variety of spatial and temporal scales. eBird’s goal is to maximize the utility and accessibility of the vast numbers of bird observations made each year by recreational and professional bird watchers. ​The observations of each participant join those of others in an international network of eBird users. 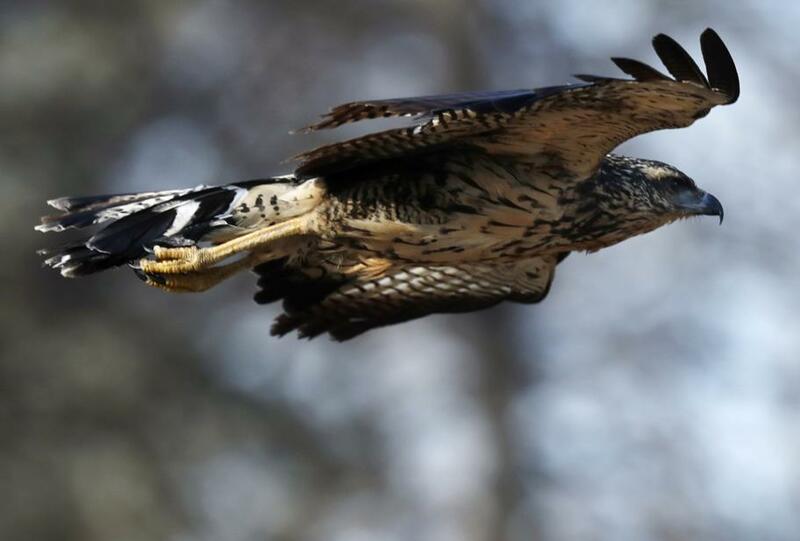 eBird then shares these observations with a global community of educators, land managers, ornithologists, and conservation biologists. In time these data will become the foundation for a better understanding of bird distribution across the western hemisphere and beyond. I personally use eBird to track and keep lists of the birds I’ve seen. When I’m traveling I use eBird to give me clues of which birds are in that area that I don’t see on and near Seabrook Island. How can I learn to use eBird? 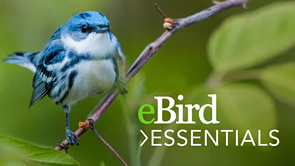 Cornell Labs has recently released eBird Essentials: A Free Introductory Course. If you’re not already using eBird to track bird sightings and participate as a citizen scientist, their brand new eBird Essentials course will show you how. It is a self-paced, free course designed to help you use the program, search for birds in your area, and explore case studies about how eBird is contributing to the scientific community and conservation efforts. Is there someone locally that can help me use eBird? Seabrook Island Birders will be offering a seminar in January on how to use eBird. If you are interested in attending this seminar, register here. The date and time will be scheduled once it is known who is interested and the best time for those who have registered. This is a reschedule of our twice rained out events from November. If you were registered for that event, you will automatically be registered for this rescheduled event. Join us again for the popular Learning Together birding on our golf courses. Ocean Winds will be closed to golfers, so join us for a morning of birding by riding in golf carts for at least 9-holes on Ocean Winds Golf Course. We expect to see a large variety of birds including Double-crested Cormorants, Egrets, Herons, Osprey and other birds of prey. We should also see and hear some of the smaller birds like Tufted Titmice, Eastern Bluebirds, Northern Cardinals and some of the many warbler species. Maybe some of our winter residents may also have arrived. Please register no later than Saturday December 15, 2018. All registrants will receive a confirmation letter the day prior the event. This is a reschedule of the rain delayed Backyard Birding originally scheduled for December 9. Join SIB members near the home of Melanie and Robert Jerome at the boat dock on Creek Watch Trace on Seabrook Island on Sunday, December 16, 2018, 8:00 – 10:00 am. You will have great views of the marsh and river. The Jerome’s have hosted the group in September and again in November when an average of 23 species was seen each time. There is a lot to see at the SIPOA boat ramp and crab dock. Not only are there many shore birds, but the Clapper Rails are active at low tide. Melanie Jerome lives at Creek Watch Villas and sees them every morning. Many shorebirds and songbirds. In the marsh by the fire station, additional birds may be seen. There will be seats available to sit and bird or a group can go walking. Once you are a member, please REGISTER no later than Friday December 14, 2018. All registrants will receive a confirmation letter the day prior the event. Author sibirdersPosted on December 11, 2018 December 7, 2018 Format AsideCategories Walks & EventsLeave a comment on Join us Sunday for Backyard Birding! My favorite birding magazine is BirdWatching which is published six times a year by Madavor Media, LLC. One of the common contributors is Pete Dunne, an author who is described as “New Jersey Audubon’s ambassador at large.” In the September/October issue, he has a piece entitled “My Patch.” It is about a nearby spot where he can bird, when time is short, with some certainty of success. I think Seabrook Island, as a SIBer’s ‘patch’, rather fits his definition. Thus, I would like to share bits and pieces of this article from BirdWatching’s Vol. 32, Issue 5. Pete describes his “new favorite spot” as being “a 13-minute drive from my door.” “Why this particular location …..? In a word, birds …. the volume of birds and the delicious proximity.” “And yes, I love to spend the day birding Cape May, but that takes planning …… when I count up the minutes and the benefits, I find that I invest most of my birding time in my local patch. Thanks, Pete. Seabrook is our local patch! Substitute any of ‘North Beach’ or ‘Equestrian Center’ or ‘Garden/maintenance Area’ or ‘Jenkins Point’ for the woodlot mentioned in Pete’s paragraph. Our Eden is at hand and its future is in our hands. We have so much natural beauty on Seabrook Island and, naturally, we want large unobstructed windows in our homes so that we are able to enjoy that beauty and our wildlife at all times. Unfortunately, these windows are a constant danger to the birds that we love seeing and have lured to our yards with feeders. So often our neighbors post on our social media sites about being heartsick when a bird dies after colliding into a window, and we all understand how sad that is to witness. There are many suggestions on how to prevent birds from flying into your windows. Understandably, many of us do not want to give up our views by installing heavy draperies or applying sticky notes every two inches. If you are serious about finding alternatives, there are some less obtrusive solutions. Check out the link below for some ideas and also read the comments from other bird enthusiasts. Some people have had success by simply moving the location of their feeder or not cleaning their windows. Now, that’s a win-win! We really do have so many birds right outside our windows. Let’s do our part to keep them safe and abundant.